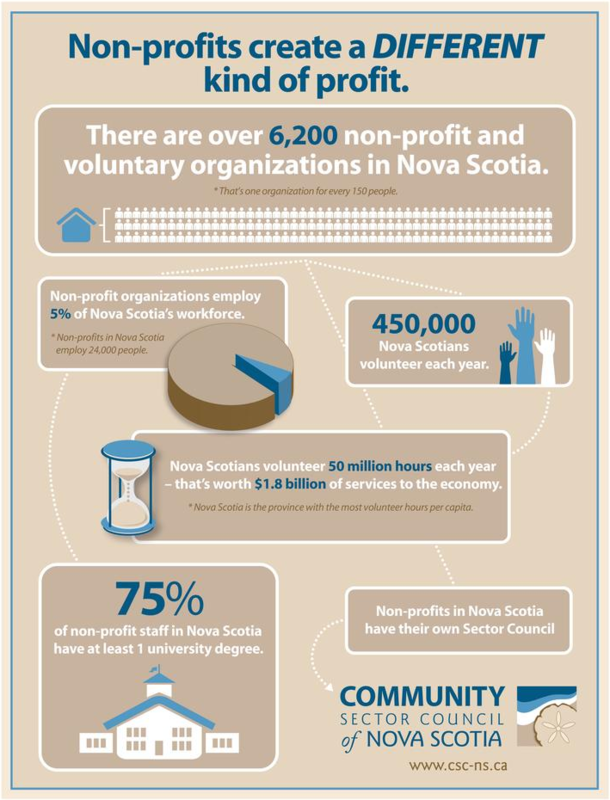 Community Sector organizations employ 7% of Nova Scotia’s workforce, and almost half-a-million Nova Scotians volunteer. The sector spans the province and can be found in every community in Nova Scotia. Eighty-seven percent of employees in the Nova Scotia Community Sector are women, and 75% have at least one university degree. There are over 6,200 Community Sector organizations in Nova Scotia. These groups provide services essential to the province’s economy and social well-being. Over 450,000 people volunteer with Community Sector groups, offering 50 million hours each year. That’s equal to $1.8 billion worth of services to the economy – these services are an important part of our daily lives. We could go on: cultural events, entrepreneurship training, women’s centres, heritage preservation, animal protection. In general, the Community Sector is based not on economic profit but rather social profit, although fiscal stability and sustainability is critical. This “third sector” complements both the private sector (i.e., business) and the public sector (i.e., government). Only 35% of nonprofits in Nova Scotia offer pension plans. Job hopping is frequent as many people are employed on a project-by-project basis, as funding allows. 65% of employees in the N.S. Community Sector earn less than $40,000 (compared with 45% nationally). Many Community Sector organizations are small and offer limited career advancement opportunities. 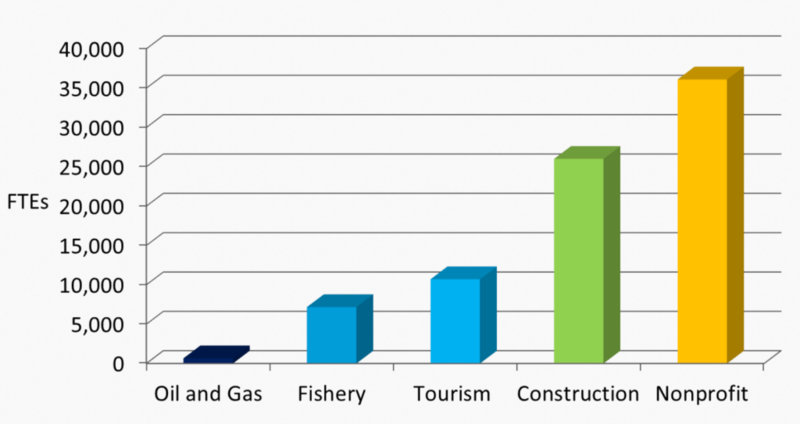 Canada’s Community sector is the second largest in the world – the Netherlands has the largest. There are an estimated 165,000 nonprofits and charities(Community Sector) in Canada, and two million people are employed by these organizations – this represents 11% of our economically active population. 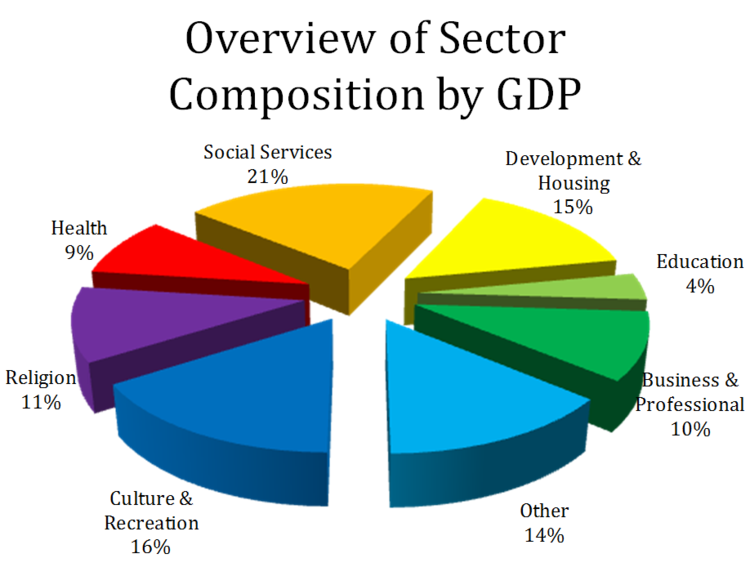 The sector represents $106 billion or 7% of Canada’s GDP (larger than the automotive or manufacturing industries). And 47% of Canadians volunteer, offering 2.1 billion hours (that’s billion with a ‘b’) of services each year.